In case you might be wondering why I am writing to you, let me tell you up front: This is my attempt to keep you writing your Rafu column. I do not agree with a lot of what you write, but that is beside the point. I have never met you in person, although I have seen you once at the Cal in Las Vegas, and once again at one of the senior meetings held by Iku Kiriyama. Let me give you my take on the controversy concerning the email regarding Floyd Mori that you referred to recently in your column. Writing a regular column myself, I can understand how something like this might happen. Here is this newsworthy item on my computer — I have a deadline to meet for my column and I don’t have time to check out the accuracy of the message — why not run it? By reading the scathing rebuttals, I am fairly certain you now have some misgivings. I am sorry you could not bring yourself to express any regrets about the damage you might have caused to the reputation of Floyd Mori. 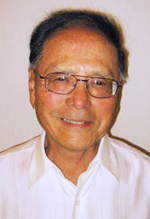 I have been around long enough to appreciate the good work Floyd has done as JACL national director, as well as in holding other responsible positions over many years. A couple of events of late have caused me to reflect back on our days in camp and its meaning for our community today. Recently, our JACL chapter showed “Farewell to Manzanar.” After the showing I had a discussion with Karl Nobuyuki, who was JACL national director during 1977-80 and had a hand in writing the redress legislation. Karl was born in Poston, but his parents never talked about the realities of camp life. He told me that viewing “Farewell” in 1976 got him really angry, and was a strong motivator for Karl to visit each of 100 JACL chapters to personally make the case for redress. Then, early this month, we heard of the untimely passing of Victor Shibata. In a few days our community will undertake another Manzanar Pilgrimage. In 1969, Victor, along with other Sanseis, held the first pilgrimage. In the process, the Sanseis had to overcome a lot of community apathy and even antagonism over having the event. Victor was a pioneer in forming groups such as Yellow Brotherhood, which dealt with issues lingering from their parents’ incarceration. George, you are one of few continuing to publicly speak, first-hand, of your experiences in camp, in your case, Santa Anita and Heart Mountain. All the faithful Niseis who read your column need you to help them remember their camp days. Your stories, rekindled in them, will be kept in our community’s memory. And this will be to the benefit our Sanseis, Yonseis and beyond. Phil, just to clarify that “…In 1969, Victor, along with other Sanseis, held the first pilgrimage,” was actually the first group pilgrimage. The first visit occurred right after Manzanar close in ’46, and Reverends Nagatomi, Mayeda and Wakahiro made the first, personal pilgrimages (to console the souls of the dead). The Manzanar Committee doesn’t claimed to be first. Also, Victor should be credited as having bestowed the now-familiar title of ‘pilgrimage’ on the yearly gathering.